Email us at: [email protected] to price match. Please read below for conditions. - We will gladly match any advertised Canadian retailer’s price on an identical in-stock item. - Price Match is available only with proof of current, local advertised retail price for identical in-stock items. The competitor's price must be in effect at the time of the Price Match request and be the identical brand, model and be new and factory sealed. The Price Match cannot be combined with any other offer. 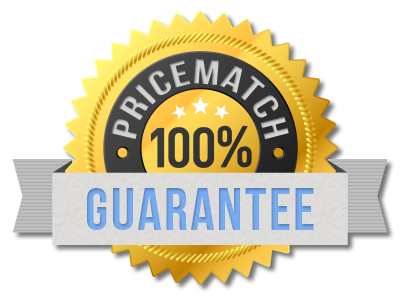 - To request a Price Match, present us with proof of a competitor's lower price for an identical in-stock item. - Amazon, Ebay, Coupons, free or bonus offers, liquidations, gift with purchase, combos, bundling of items, going out of business prices, BOGO offers, after-rebate or mail-in offers. - Advertising errors or misprinted prices of other retailers. - Retailers that require paid membership or loyalty programs.